In Memory of ROBT. ROWAN of No. March 3d 1800, Aged 25 Years. I wonder how many visitors have paused at Lieut. 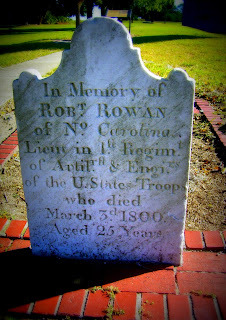 Robert Rowan's tombstone. How many times it's been photographed. I'll bet the numbers are staggering. You see, young Robert's final resting place is a cemetery on Cockspur Island, right outside Fort Pulaski -- a defender of the ports of Savannah, Georgia during the Civil War. This is also the place where 13 of the Immortal 600 were buried. Lieut. Rowan, however, had nothing to do with the Immortal 600, or any part of the Civil War for that matter. He was already dead. 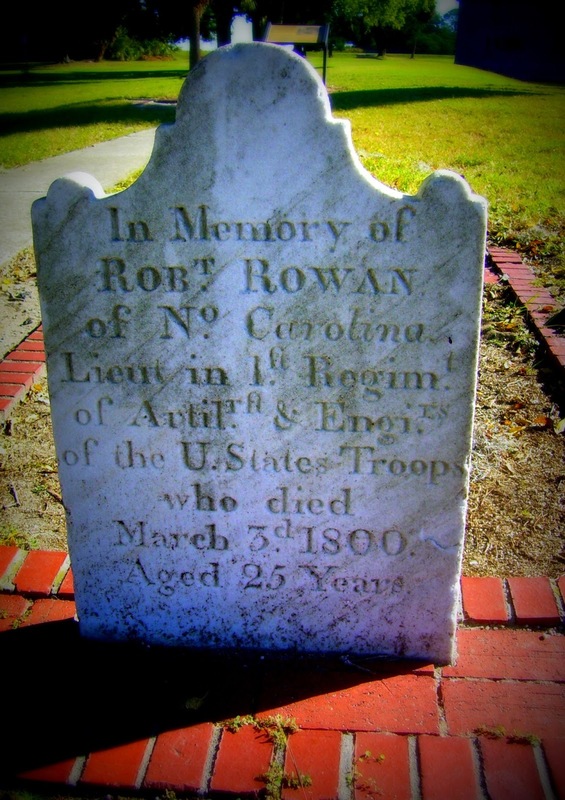 Robert Rowan died at the young age of 25 in the year 1800. A full 60+ years before the drama at Fort Pulaski. Back when the fort on Cockspur Island was Fort Greene, built in 1795 and named for Revolutionary War patriot Nathanael Greene. Rowan, of the 1st regiment of Artillerists and Engineers. -- but I can't help but wonder if, under different circumstances, we would even be aware there ever was a Lieut. Robert Rowan. I, for one, think it's cool we are.